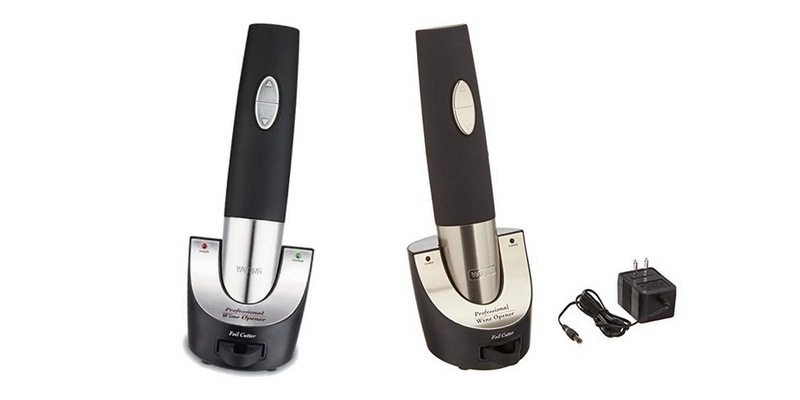 Electronic wine openers no matter how well made they may be have never amazed me at all, the brand to me does not make much of a difference, it all comes down to handing over the task of opening a wine bottle over to an automated machine, so let’s take a look at the Waring Pro WO50 Cordless Wine opener. 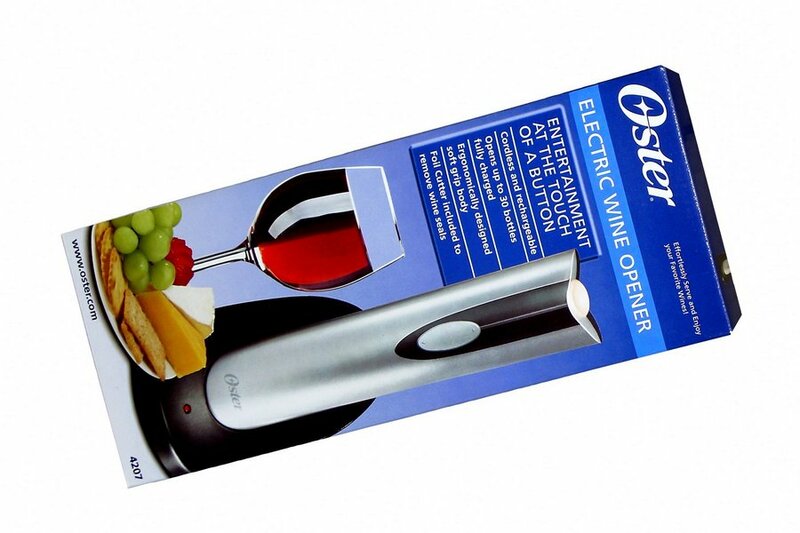 As a wine lover I enjoy collecting all sorts of things related to wine, that’s the reason I bought this opener even when I disagree so much on electronic wine openers, the price for this unit was fairly cheap at only under $40. The design is nothing spectacular but it does look its part, friends instantly recognized it as a wine opener, aside the occasional few who try to be funny by stating something rather suggestive. It comes with a simple foil cuter, just spin it around the side and the foils is gone, no worries about slipping and cutting yourself with a wine keys blade here. The worm is coated in Teflon making it resistant to strain and friction, this is important when you are opening numerous bottles for long periods. The controls for this Waring Pro WO50 Cordless Wine opener is simple, there is an up button and a down button, to get the worm into the cork you must position the opener on the head of the bottle and press the down button, to draw the cork press the up button, and to remove the cork from the unit press the up button once more, removing the foil and drawing the cork took less than 10 seconds. So those are the good parts, let us dwell into the troubles that this unit comes with. The first problem that I would really like Waring to fix is the fact that the battery will lose its ability to hold charges if you do not leave it plugged in the charger, this certainly is a waste of energy, imagine keeping it charged every day. The worm although coated and made to go through hundreds of bottles does not perform as it is supposed to, after prolong usage the worm will definitely bend and shred your cork into your wine bottle. 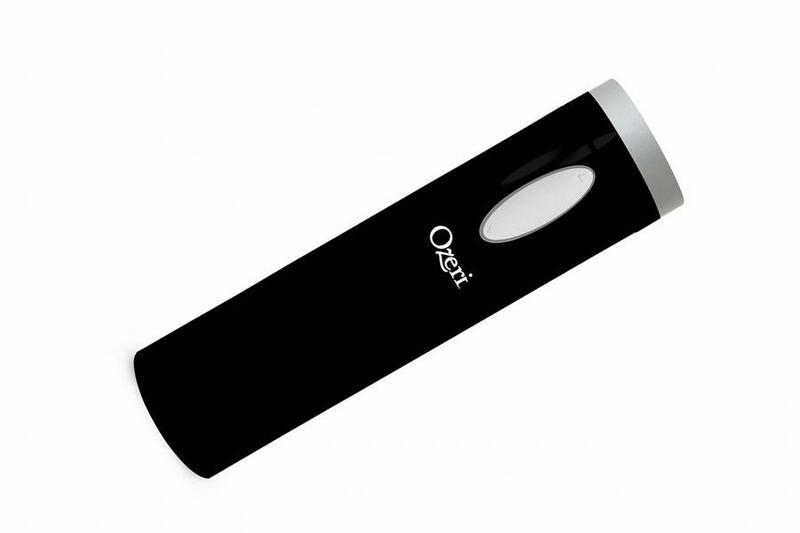 This Waring Pro WO50 Cordless Wine Opener is cheap and you may give it away as a gift, but not to those who are going to use it to open wine for a living or on a daily basis, as it is more suited for those who do not know how to use a regular corkscrew or who do not frequently drink wine.